If you traveled to visit an area, more than a day, of course you want to get as much information about your tourist destination, so when you are there then you will get a complete everything from attractions, culinary, merchandise, and others including know the type of clothing the location destination. Batik Indonesia as a whole engineering, technology and development-related motives and culture, has been designated by UNESCO as a cultural heritage of humanity for oral and non-material (Masterpieces of the Oral and Intangible Heritage of Humanity) since 2 October, 2009. . Yogyakarta has a distinctive motif is batik fabric YOGYAKARTA different with batik motifs in other areas. When you are in Yogyakarta, and buy clothes or souvenirs of batik cloth, then there will be a lot of motives batik. On this website we provide information about the endeavor in Yogyakarta batik along with the meaning of these classic motifs. Of which we show are the original/classic batik motive and not contemporary motifs. 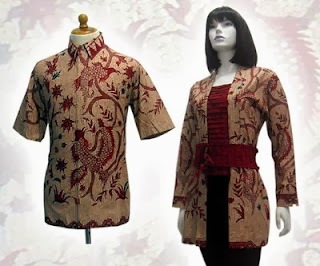 Instead you have a batik shirt with a origin /classic motif, you are including the savior world culture. 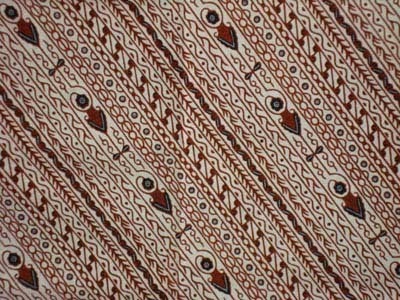 "Batik" originated from the palace. It used to be made by the royal female. This batik soga color (brown) and made ​​for the royal family. How to make batik cloth there are several kinds. Batik motifs created by painting on fabric using canting called "batik tulis" (manual wax-resist dyeing technique). Other one, there are also batik made ​​with stamped or printed for mass-produce. Of course the price is also a relative from each process. However, nothing can truly achieve the quality and authenticity of a piece of batik tulis, where just two meters can take between 3 months to create. Uses : as a "Semek'an" and Kemben. Wear during the ceremony "mitoni"
Philosophy : It is expected that the adequacy and happiness always. SIDO means continuously or be and MUKTI means living in affluent and happiness. so we can conclude this motif melambangka hope for a better future, full of happiness under on the bride and groom. Philosophy : "truntum" means to lead , parents are expected to lead the bride and groom . Arguably truntum motif is a symbol of love that blossomed again . According to the story , this motif was created by a queen of Sultan Palace. The Queen who has been loved and pampered by the King , was forgotten by the King who has had a new lover . To pass the time and relieve the sadness , the Queen began to make. Queen unconsciously make star-shaped motif in a dark sky , which had been with him in solitude. Queen persistence in batik attract the King who then began to approach the Queen to see how to make batik. Since it constantly monitors the development of batik king queen , little steps by little steps affection towards the Queen King grows back . Thanks to this motif king love blossomed again, so the motive is named Truntum , as a symbol of King's re-blossomed love. Implies fortitude and should withstand live concerned even if hit by rain and heat. Thus for married life, especially for the newlyweds, to be bold and willing to live concerned when many obstacles and trials, the proverbial hit by rain and heat, may not be easy to complain. All the obstacles and hurdles that must be faced and solved together.